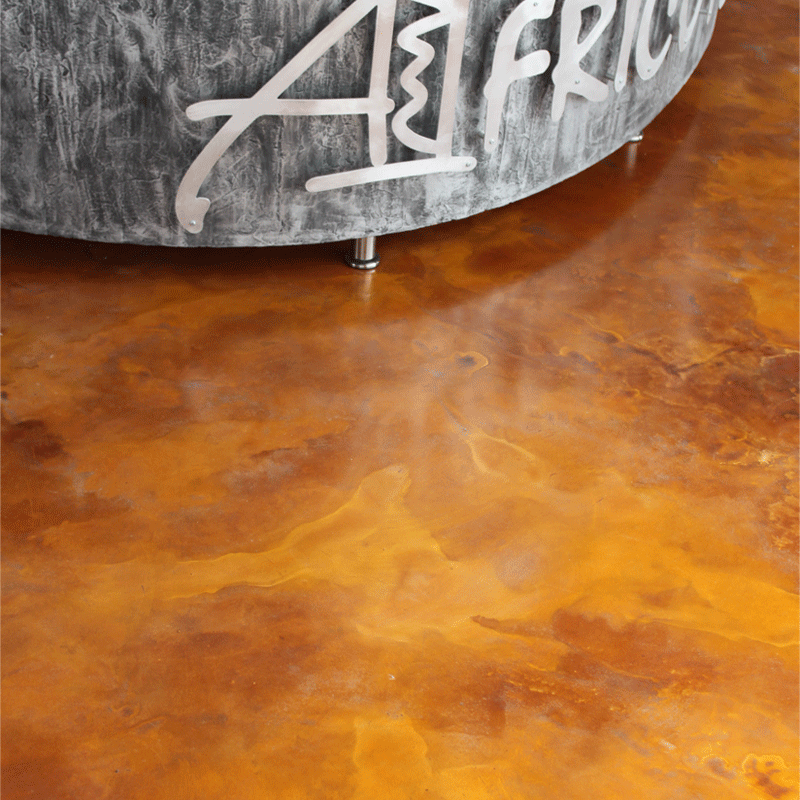 Africote’s Vintage Rust Paint is specifically designed to ONLY work on any cement based substrate like cement pots, plastered walls and concrete floors. The finish that is achieved with the Africote Vintage Rust Paint is to reproduce a typically rusted, weathered old and rustic appearance. This system is based on a acid modified formula and care must be taken when working with it. Personal Protective Equipment must be used like PVC gloves and safety glasses and in open ventilated ares. The Vintage Rust Paint reacts with the free lime content in the cement, which brings about the attractive rustic look!